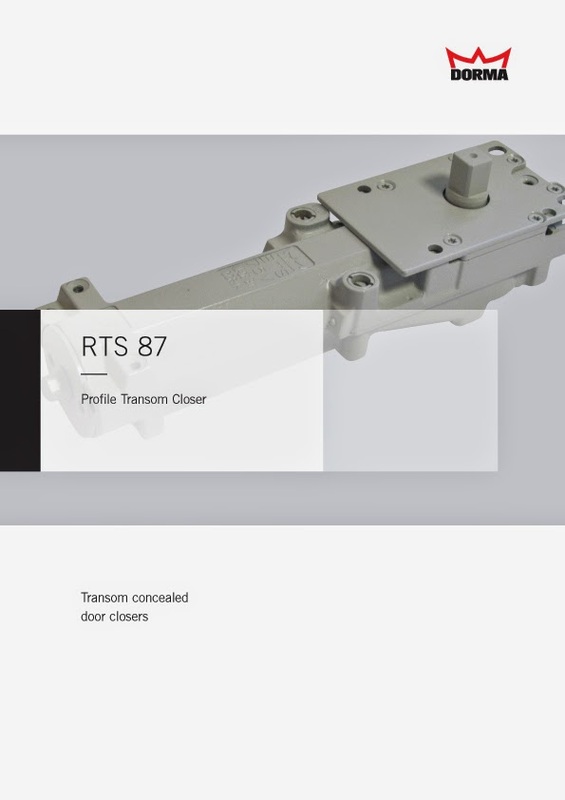 A full technical brochure is now available for the DORMA RTS87 Profile Transom Closer that has been produced for use in Profile Systems. 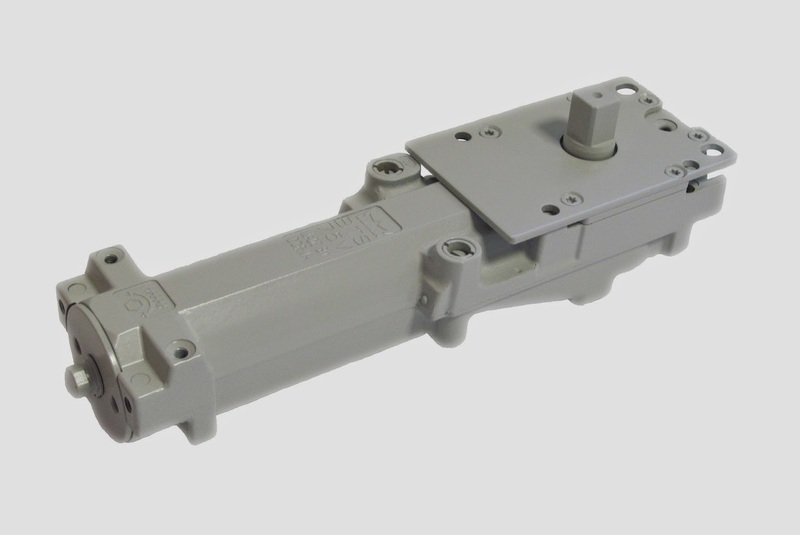 The RTS87 is an adjustable powered EN1-4 Transom Closer suitable for use in Aluminium or Steel Profiles allowing doors to meet the required opening forces of Approved Document M and BS8300. In addition to the high efficiency and low opening forces, the unit also comes with a mechanical backcheck facility and is CE Marked to BS EN1154. The RTS87 uses the same accessories as the DORMA RTS85 Transom Closer that is also CE Marked to BS EN1154. DORMA side load arms, end load arms, pinch free arms and adjustable height floor and threshold pivots suit both the RTS87 and RTS85 ensuring constant preparation for door leaves irrespective of which Transom Closer is being used. In addition to a RTS87 Declaration of Performance being available to comply with the requirements of CE Marking, a third party torque curve is also available to demonstrate the low opening forces and ability to enable doors to meet the opening forces within ADM and BS8300. For more information please visit www.dorma.com.